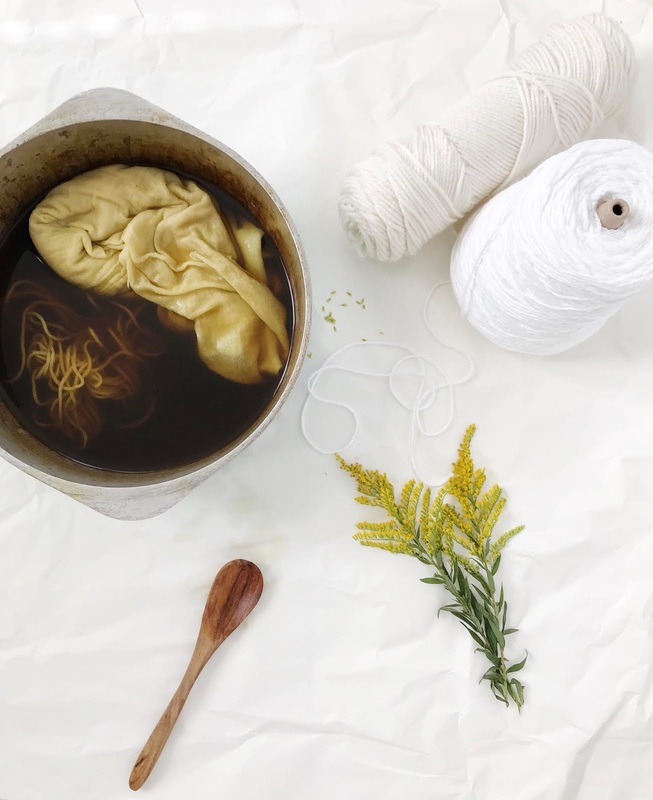 Today I have a really quick recipe to share with you. 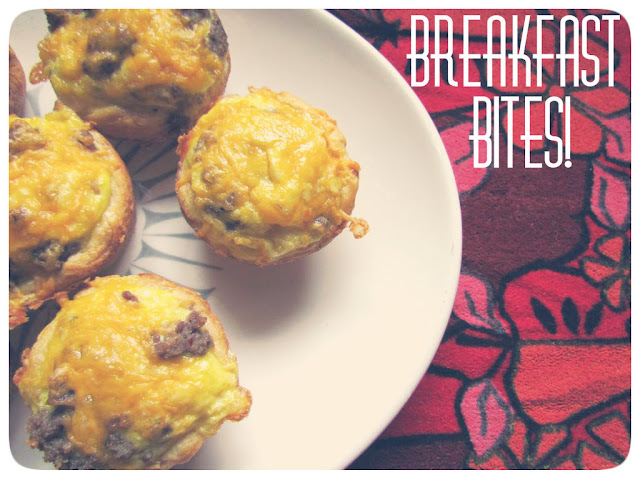 I've seen a lot of little breakfast bites all over Pinterest (like these and these! ), so I finally decided to try a version of my own and they turned out really delicious if I do say so myself. This recipe only takes a little time, and you can freeze the extras for breakfast on the go! If you have made them before what ingredients did you use? I know there are tons of great variations out there! Start with the crescent dough, take each slice and form it into a circle and place it into a greased muffin pan, making a little "pie crust". Sprinkle some of your Monterrey cheese into each one of the muffin cups. In a small bowl crack your eggs and scramble them. I added a little salt, pepper, and a couple splashes of hot sauce. If you haven't tried hot sauce and eggs I suggest you get on it! I have a lot of family in the south and hot sauce is a breakfast staple. Anyway, in a small pan, cook your sausage like you would for a breakfast burrito, until its nice and brown. Now it's time to assemble! 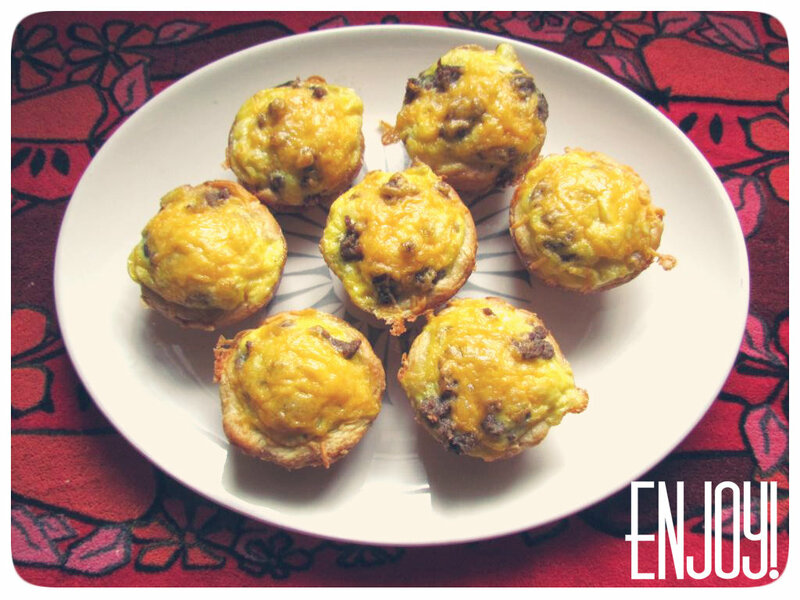 Pour your eggs into the muffin cups. Try not to fill them too much, you don't want overflow! Then sprinkle your sausage on top. Cook these in the over for about 20 minutes, when you have about 5 minutes left on your cook time pull them out and top them with sharp cheddar cheese. Pop them back in the oven for the remaining time, or until the cheese is melted and your egg is cooked through. 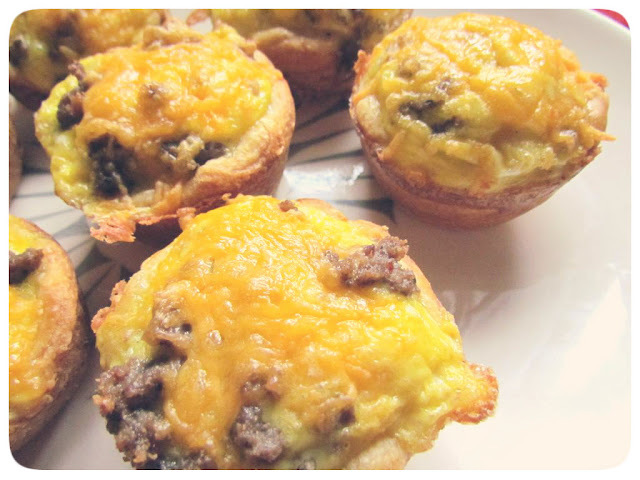 let them cool and then your ready for a perfect and easy breakfast that you can take on the go! Let me know how they turn out for you!! These sound so freakin good! They they are so yummy! Thanks! yumm these look super good! wow, these look so simple and delicious! !